Any frequent Asia traveler will confess that if you visit this continent once, you will crave it again and again. There’s just something about Asia that brings joy to all of the 5 senses and inspires you to try it just one more time. The largest continent on Earth, Asia is home to a whopping 60% of people living in the world. 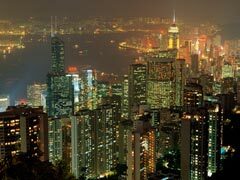 Its population is the fastest growing in the world – within the last 100 years Asia’s population grew 4 times. This continent is blessed by immense natural and cultural riches beyond our imagination located on the territory of the 48 countries that Asia contains. No matter if you are a picky traveler spoilt by Western world comforts or outdoorsman content with backpacking across the country, Asia travel options can satisfy any taste, need or want in the world. Many Asia travel guides will agree, whatever it is you are seeking, you will find in Asia. 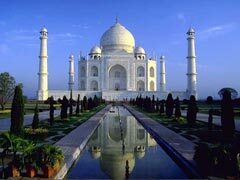 Below our Asia travel guide will present some of the most popular destinations in this part of the world. China is without a doubt one of the most visited countries in the world boasting incredible tourist attractions you will bump into literally everywhere. Making a Chinese travel itinerary is not an easy task; there are just so many options, so the choice really comes to picking what you value the most. The Great Wall of China is country’s top iconic attraction stretching across the country for many thousand kilometers. Some parts of the wall are well preserved, while others are completely dilapidated. The Forbidden City in the center of Beijing and the Palace Museum that is currently located within its walls are other incredible attraction worth visiting. Here you will see the rarest objects and articles of everyday life of Chinese Imperial Dynasties displayed in almost 900 various buildings and structures. Another attraction of the highest regard is definitely the Terracotta Army located at Qin’s Mausoleum site which opens a vast assortment of 8,000 life size terracotta soldiers that were buried under the ground for almost 2000 years and later accidentally discovered by a Chinese farmer who was digging up a well in 1974. None of the warriors look alike; each of them is crafted with meticulous precision and possesses a unique set of features and accessories. The Terracota Army was supposed to accompany the Emperor Qin into his journey to immortality. In case you are lucky to have more time on your hands, without a doubt book a Yangtze River Cruise because the longest river in the country is deeply intertwined in the history and culture of Chinese people opening breathtaking views of the valleys, mountains and other scenic locations. 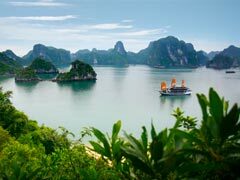 Vietnam, the country that has survived multiple wars, colonialism and communism has grown stronger than ever blessed by bountiful cultural riches, impassable jungles, majestic mountain views and South China Sea coastal vistas. Despite the fact that Vietnamese culture has been heavily affected by French colonialism and Chinese influence, however, it remained distinctly different than that of its Chinese neighbor. Two World Heritage sites are located on its territory providing plenty of sightseeing opportunities. Ha Long Bay is one of the top tourist destinations presenting a series of isles, grottos and caves of various sizes and shapes. Phong Nha Ke Bang National Park is also among must see sites in the country displaying a large number of limestone karsts and grottoes containing matter that dates 400 million years back. Hoi An Old Town strategic location on the majestic Thu Bon River is a gem for your eyes especially with thousands of lit lanterns during a Festival night. For those tourists wishing to take a dip in the countryside, take a trip to the beautiful Sapa rice field that create an intricate landscape design as if thought out by a skilled stylist. And, finally, Ho Chi Minh City (formerly Saigon) is as traditional Vietnamese as they get providing a timeless impression of the culture and way of life in the country. To feel right at home, hop on a motorbike and get yourself to one of the best sites in the city, War Remnants Museum telling a gruesome story of the past wars fought by the country. India is one overwhelming destination brimming with never stopping traffic, flow of pedestrians, aromas, colors and spices that are everywhere you cast a glance. Prepare yourself slowly to this everything or nothing country flaunting its multidimensional culture of very rich and very poor. In such a large country with over 1 billion citizens your sightseeing choices are endless. However for those of us with limited time, we recommend including India’s iconic Taj Mahal, divine Varanasi city cherished by all true Hindu believers, Sundabarns forests inhabited by real Bengal Tigers and high altitude city of Leh. For first time visitors to the country Indian Golden Triangle tour is highly recommended since it contains some of country’s best and most cherished attractions of Delhi, Jaipur and Agra. Cambodia is a country waking up from three decades of horrific wars and slowly winding up its tourism industry. Hordes of pilgrims are rushing to the main temple of Angkor Wat to witness its holy beauty and symbolism. Another group of tourists rush to the Mekong River that runs through the country presenting loads of ecotourism opportunities. Despite country’s magnificent cultural and natural wonders, it still remains one of the poorest regions in Asia. Nepal is world’s trekking paradise draped against world highest Himalaya Mountains and also among world’s poorest countries. 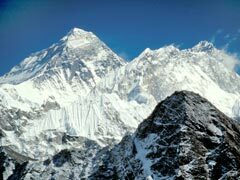 Despite this fact, large groups of trekking enthusiasts are setting for weeks’ long treks to the base camp at Mount Everest, one of the most physically challenging but nonetheless exhilarating adventures. For tourists seeking beyond trekking experiences head to the Chitwan National Park where you will see some of the most endangered animal species in the world like tigers and even dolphins. Annapurna Conservation Area and majestic Phewa Tal Lake are other worthy attraction in the country. Thailand is tropical getaways suited for a beach loving community coming here to frolic in powdery sand and relax in the palm tree shaded retreats. The country serves a mind boggling menu of touristic pleasures ranging from jungle adventures, underwater experiences and melting all your worries away under the hands of professional Thai masseuses at the beach resorts. But it’s not even its outdoor pleasures that draw loads of tourists to its shores, its fascinating culture that is centered around divine wats or temples is what tourists are looking for. 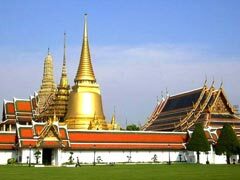 Visit the Grand Palace in country’s capital Bangkok and pay a visit to the famous Emerald Buddha statue in the heart of Wat Phra Paew temple. Among its famous resorts visitors might consider Phuket, Ko Samui and Hua Hin with an excellent infrastructure of beach resorts. Japan is an island country located in the Eastern Asia. For such a small land wise country, it packs an amazing culture, gorgeous sceneries and one incredible nation in the world. The country is a pleasure to visit especially its incredibly hospitable people who simply love guests and proudly display their traditions. From food to Japanese tea ceremonies, to theatrical performance and museums, there’s much to see and do. 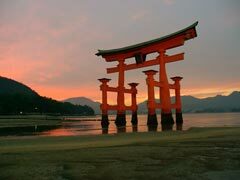 Fushimi Inari Taisha is Japanese most sacred shrine that is believed to bring luck to its visitors. Tsukiji Central Fish Market in the capital Tokyo is a feast for your eyes and belly – every imaginable sea creature could be purchased and cooked right in front of your eyes. Visitors with kids will spend an hour after hour at the Monkey Park Iwatayama in Kyoto staring at over 200 species of monkeys and even have a chance to feed them. South Korea is a beautiful country but few foreign travelers seek further than its capital Seoul. In Seoul visitors will most definitely explore Gyeongbokgun Palace devoted to King Taejo and Seodaemun Prison as a remembrance to Japanese colonialism times from early to mid 20th century. Perfectly hidden in the midst of Busan stands the SeokbulsaTemple set against breathtaking mountain scenery. For bold travelers looking to explore beyond Korean capital will be delighted to find an endless array of divine temples, sprawling rice fields, undiscovered fishing villages and much more. Please be advised that North Korea is a country that is very tourism unfriendly and admits no more than 2000 visitors per year mostly on official government missions, therefore its tourism industry is practically non-existent. Indonesia is an archipelago country encompassing over 17000 islands blessed with immense natural resources, however remaining plagued by widespread poverty. There are a multitude of completely endemic to this region species of flora and fauna making for one unique ecotourism. Among its 17000 islands Bali stands out the most due to its unsurpassed natural beauty and a well developed infrastructure of beach resorts. 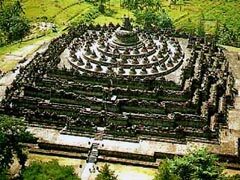 But it’s not all about the beach pleasures in Bali, here you will find incredible temples, artistic heritage and monuments. Among country’s top attraction one must include Mandala Wisata Wanara Mana temple complex is a gorgeous site inhabited by very ill-mannered and simply mean macaques that will steal your cameras and anything they can get their paws on. In Jakarta tourists will love Taman Impiyan Jaya Ancol theme park providing days of non-stop fun and entertainment. But if there was just one place in the country to visit our travel guide would definitely point you in the direction of Bali Safari and Marine Park with lots of entertainment options and hordes of animal creatures. Maldives located in the South Asia are an archipelago of almost 1200 coral islands being washed by the Indian Ocean. Plenty of sunshine in this tropical location guarantees ideal exotic islands vacations. The main attractions on the archipelago are definitely water sports and the exquisite island cuisine heavily influenced by Indian traditions mainly presented by curries, rice, fish and lots of pastries. Here tourists can try some of the best in the world snorkeling and diving and marvel at underwater corals stretching for miles and exotic species of fish. World class surfing is also on the tourist menu of the islands. Our Asia travel guide warns against visiting certain areas in Central Asia especially Afghanistan. Please check USA travel board advisories for additional information on this matter.